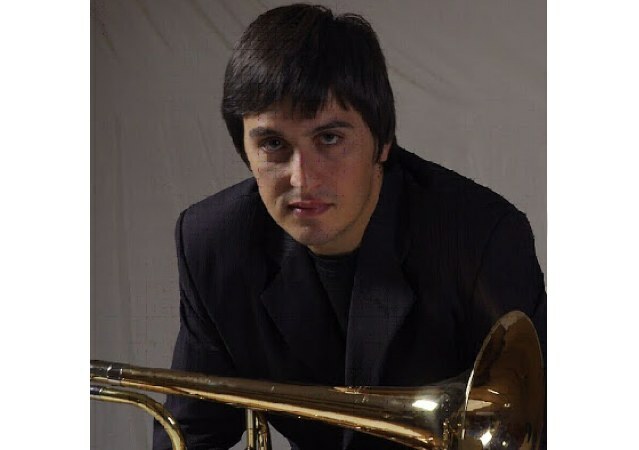 Since 2002, Jorge has held the position of bass trombone in the Symphonic Orchestra and the Symphonic Band of Córdoba, where he performs an important role in the development of the bass trombone, which has also lead him to perform as soloist with the Symphonic Band of Córdoba. Together with the “Viento Sur” quartet, he has performed in front of the Symphonic Orchestras of Rosario, Córdoba and Santa Fé. On various occasions, he has been invited to perform as an invited guest with the Buenos Aires Philharmonic Orchestra and the Mendoza Philharmonic Orchestra. He holds an important teaching position as rehearsal coach for the Municipal Symphonic Band of Córdoba and the Municipal Music School of Colonia Carayo (Córdoba), as well as on the faculty of the “Trombonanza” international festival. He graduated from the “Alfredo N.Niohul Municipal Music Academy”, under the technical supervision of Adrian Verra, later continuing his studies in San Juan as a private student of Professor José Ángel Paz, and in Cologne, Germany with Professor Christoph Schwarz, and has attended numerous courses and master classes given by first-class musicians.